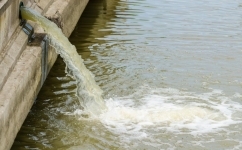 The removal of a wide range of contaminants from water that is not used for human consumption such as industrial and municipal waste water; groundwater, landfill leachate, etc. 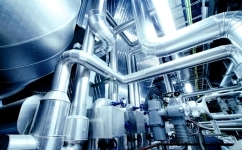 Several purification steps in industrial processes at petrochemical, chemical, pharmaceutical plants for processes such as for intermediate, organic and inorganic acid and solvent treatment. DESOTEC Activated Carbon products are particularly effective decolourising and purification media and are widely used in these industries. The purification of food grade ingredients and products. The nature of the organic matter to be removed. Substances with a high molecular mass and low water solubility are adsorbed better. The concentration of the substance to be removed (the loading percentage). The higher the concentration, the better the adsorption. The presence of other compounds, which results in competition for the available adsorption space. The parameters of the liquid (temperature, pH…). The selected activated carbon type. Do you require more info on activated carbon for liquids and water purification? Be sure to get in touch with us! Based on the supply of some basic process criteria, DESOTEC Activated Carbon is able to provide a range of product samples for the client’s own evaluation or supply mobile equipment for full scale testing. Alternatively, with the extensive resources of our technical service laboratory, our experienced engineers and isotherm data, an assessment can be made of the suitability and the effectiveness of our technologies for the application. DESOTEC Activated Carbon products are packed in standard 15-20 kg bags or in 400–700kg big bags, stacked on pallets per max. 700kg. Alternative forms of packaging are possible upon request. DESOTEC also offers the widest range of mobile adsorbers in the industry to treat water and liquids.